Maxi Drive Plus is a uniquely shaped jaw that locks the spanner onto the nut. Locking applies to the faces of the nut, thus preventing the risk of slipping. 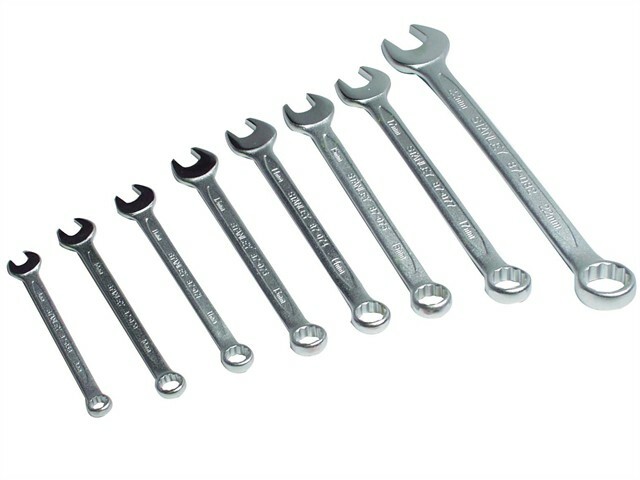 A high quality metric combination spanner made from chrome vandium steel which conforms to ISO 3318 DIN 3313. Set of 8, 1 of each size, 8,10,11,13,14,15,17 and 22mm.